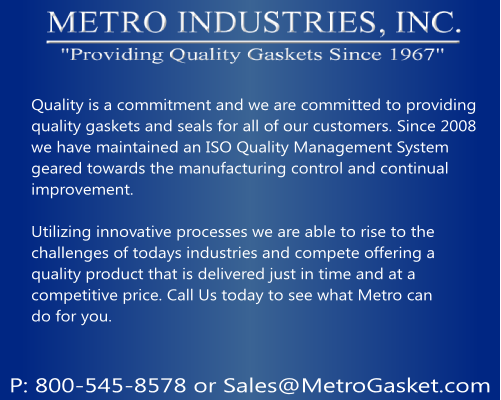 By industrial classification, we are most aptly described as a gasket manufacturer, though most of our products aren’t “gaskets” to our customers. In short, we, first, convert sheeted and rolled materials (mostly rubber, plastics, and other non-rigid materials) into usable die-cut, slit, sheared, or otherwise precision-cut shapes. 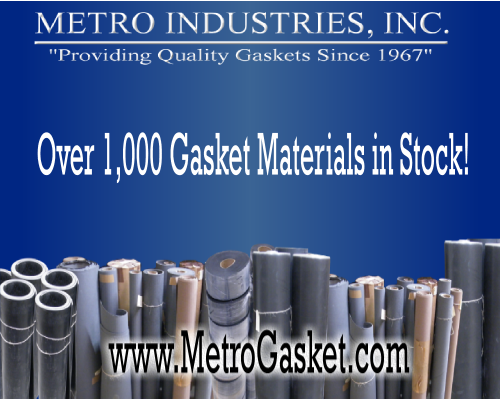 These products include many standard and semi-standard products like rubber washers, sponge weather stripping, and flange gaskets, plus tens of thousands of parts manufactured to customer specifications. Secondly, we stock and distribute many molded and extruded products like rubber o-rings, grommets, and blade seals, also made to both standard and customer specifications. 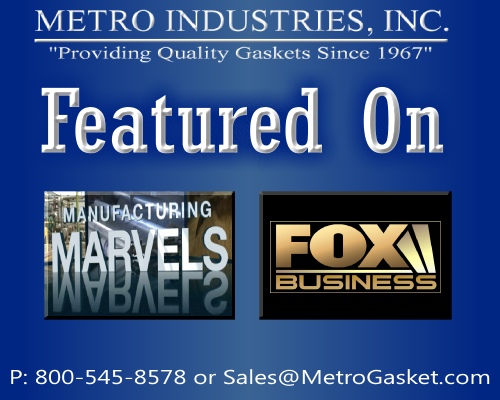 Using a wide array of custom die cutting presses and manufacturing processes, Metro Industries has been providing precision custom die cut parts and components for thousands of machines, equipment and applications for over forty years. Specializing in two-dimensional shaped part fabrication from rubber, plastic, texttile, cork and various other gasket materials. 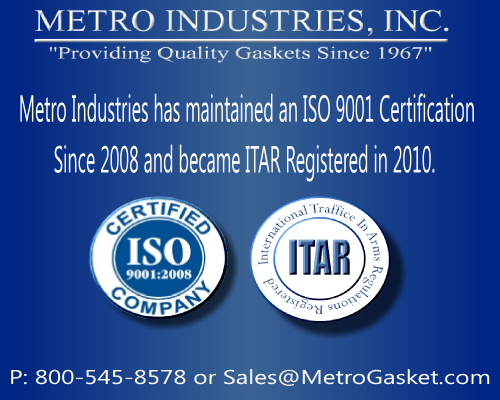 Metro Industries maintains an ISO 9001:2008 Quality System which is a widely recognized and accepted quality management system for the Aerospace Industry. The ISO Quality Management System includes traceability, inspection, measurable objectives and continual improvement. to ensure products conform to the customers specifications. When Just in Time delivery is important we offer a standard stocking agreement. Factoring in the production demand and manufacturing turn around we are able to optimize production runs, minimize overhead and keep quality custom products available as if they were stock items. 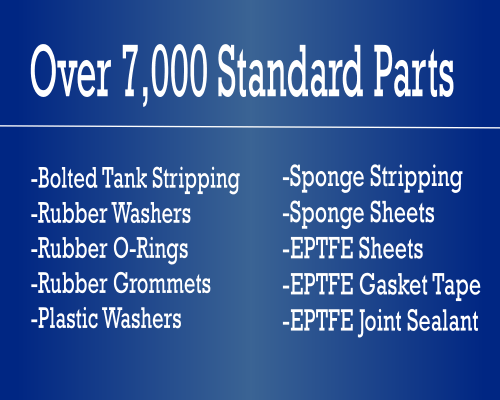 Offering a variety of Standard Rubber and Plastic Products including Rubber Washers, Plastic Washers and Shims, Sponge Weather Stripping, Expanded PTFE Gasket Tape and Joint Sealant and more.